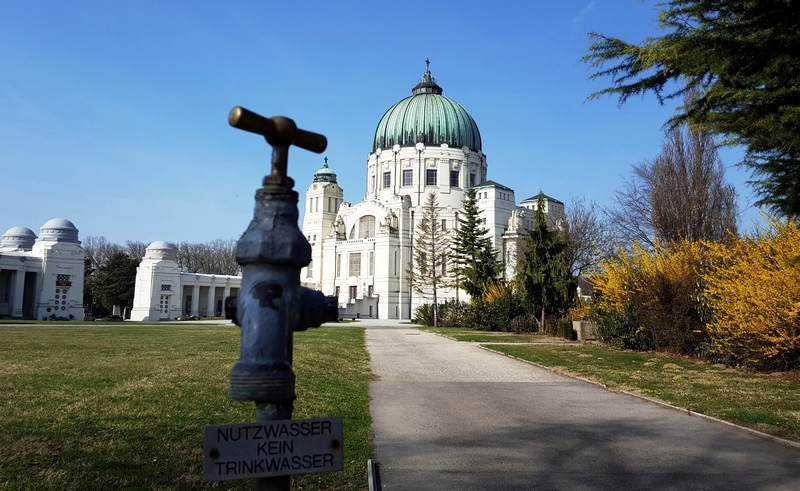 In 1874 Viennese citizen Jakob Zelzer was the first to be buried in the newly-opened Central Cemetery. Today this cemetery with more than 3 million graves is the largest in Europe (only Hamburg-Ohlsdorf is larger in area). Besides countless normal citizens the cemetery has the largest number of graves of celebrities: Musicians such as Beethoven, Schubert, Johann Strauss or Falco; actors such as Hans Moser, Theo Lingen or Curd Jürgens; painters, architects and sculptors and other luminaries are interred here next to Presidents of the Republic and mayors of the city. Sectors for various religions – Catholic, Protestant, Jewish, Islamic or Buddhist—offer people of all faiths the possibility to be buried here. Particularly impressive is the Art Nouveau Church of St. Charles Borromeo.